If, when picking up your child from Nursery or Kindergarten, you were informed your 3yr old had been whittling with a fixed bladed bushcraft knife whilst sitting by a fire, what would your immediate reaction be? I'm hoping your reaction would be, "Awesome! Why haven't used one already?!" 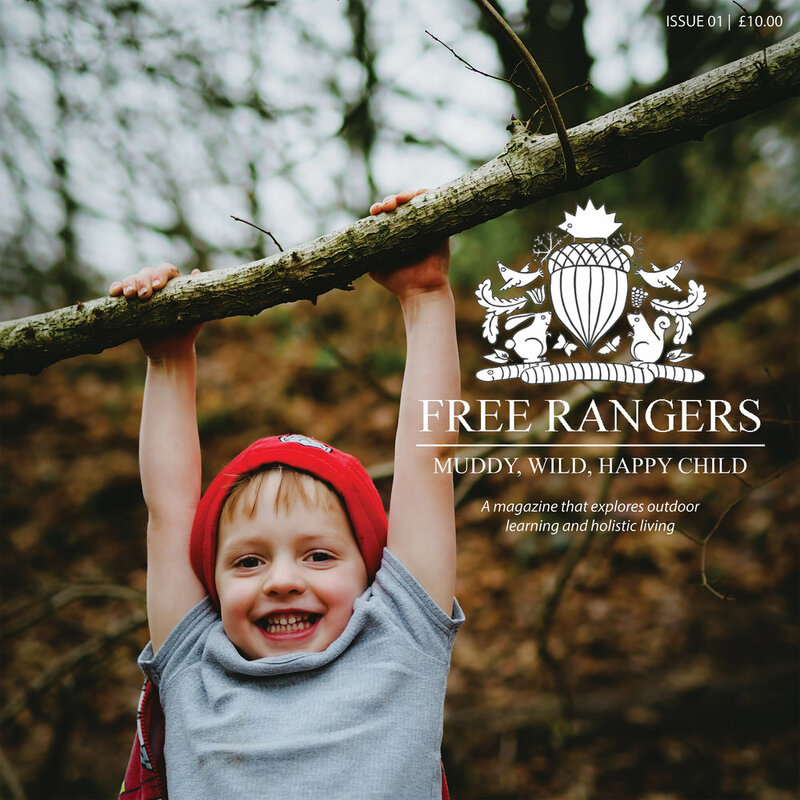 At Free Rangers, we pride ourselves on helping your little adventurers be the best they can be. Part of this shared journey involves providing appropriate risks for them to face, encouraging them to learn how to overcome them independently. This opens up new doors to creativity, boosts confidence in their own ability, and generally allows them to experience new activities that they might not have access to day to day. 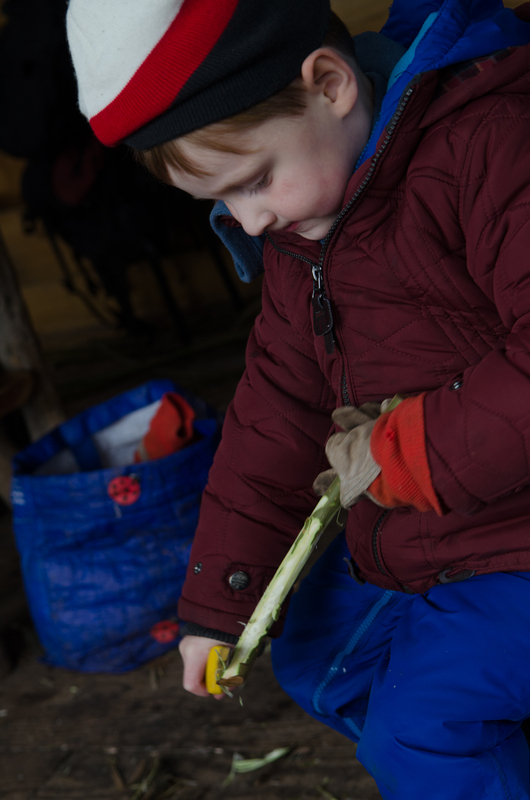 Our Forest School sessions have revolved around using a variety of different tools for different purposes. We began a few weeks back when we started tending to our living Willow fence (If you haven't read the blog post please free to click this link here: Willow Work). Last week, we raised the stakes and introduced knives. We began with a candid discussion to tease out from the children what they already knew. This varied from literally no knowledge, to knowing the tools name, where it's held and why it was used. I also wanted to attach a level of emotion to its use. I wanted to see how the children felt about knives. Were they scared of them? Had they used them before? Did any of them not want to use them? I like to set aside a good amount of time for this initial discussion to not only talk about how we felt about the tools, but also to discuss the safety of their use for the user, and for the children around them. Once the tool talk was complete and I was confident with their understanding, we worked with individual children to show them how best to utilise the knife, the most effective and safest use, and set them to task, whittling some willow stems whilst sat around the fire. As to the purpose of the stick after they had finished, that was up to them. Some adorned theirs with leaves, others transformed them into swords and wands. But importantly, they had been given the time and the space to create that stick safely, using a tool which largely they wouldn't have come into contact with. I was very proud of them. The following weeks we extended this learning to make some bird feeders. 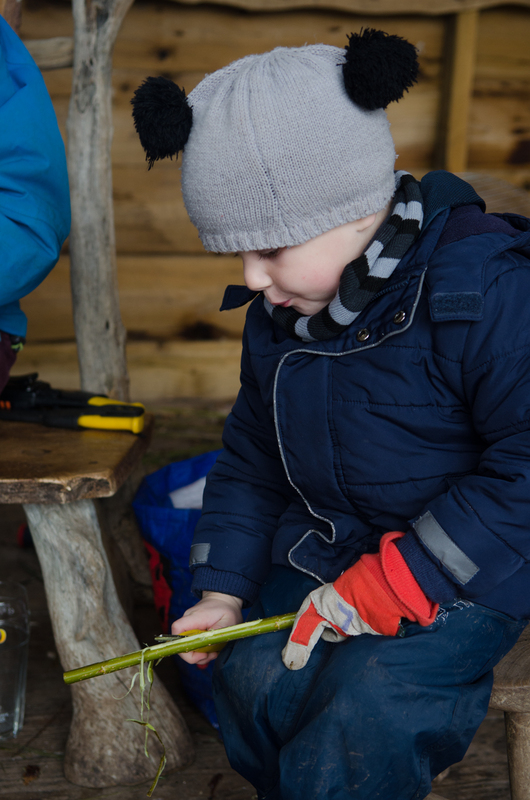 Using some coppiced Ash from our site, the children used drills, hammers and a clamp to craft them, taking it turns to utilise both fine and gross motor skills, hand-eye coordination, turn taking, listening skills, confidence, self-worth...I could go on. They were filled with a delectable mix of lard, bird seed, oats and meal worms and then the children chose where they felt was the best spot for them to hang. Great work from all the children and you can just see the concentration and enjoyment on their faces. And yes, that's a power drill they're using. We unfortunately live in a risk-averse age. Life (and indeed outdoor play) is inherently risky. As parents and carers, we obviously want to keep our children safe, but perhaps we keep our children too safe. For me, it's in their best interests children experience risk and through that experience develop strategies to manage their own safety. Let's not forget that they are not born with safe judgement built in - it has to be learnt. We adults understand these risks having experienced them already but the fear of injury or indeed failure can cloud our judgement. We want to a step in to prevent harm, to 'hand-hold' or (even worse) do it for them. Now I should clarify, if a child was in real danger you should always be there to assist, but instead of outstretching a hand, I prefer to offer words of advice and talk the children through the hazard: i.e. "That log looks slippery. Perhaps you could get on your hands and knees to steady yourself?" We love tools at Free Rangers. We want you to fall in love with risk and rewards that can be gained. By providing the time and space for them to experience failure, to experience losing their balance, they learn to get back up, to try again, and to succeed. They will grow up stronger, and safer for it. Come on everyone. Let's get risky. Thanks for reading as always. Please share this blog should you wish to, and I would love to hear your thoughts.